It’s easy to picture the frontier days when you’re exploring The Ranch’s environs on horseback, away from roads, houses and buildings. Our equestrian program also includes stagecoach, wagon and sleigh rides. In the summer, our barn manager and wranglers lead tours in an original, restored Wells Fargo Stagecoach pulled by two Belgian mares. 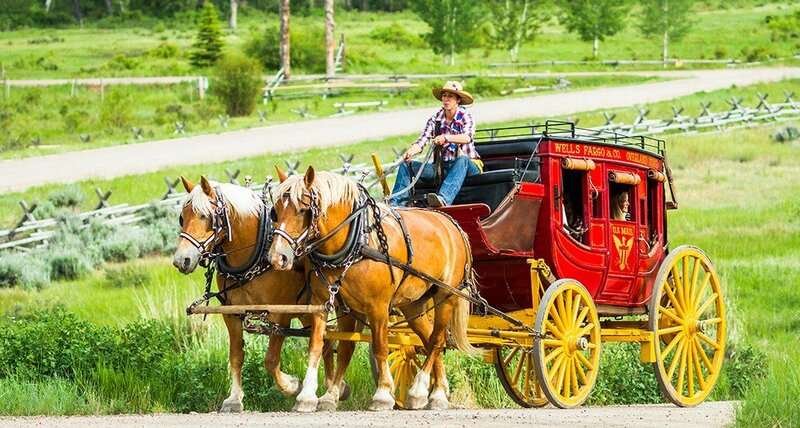 You can sit inside the plush upholstered cab or, if you’re lucky, alongside the driver, and imagine what it was like to be part of the Pony Express, delivering mail and money from the East Coast to the Western territories. 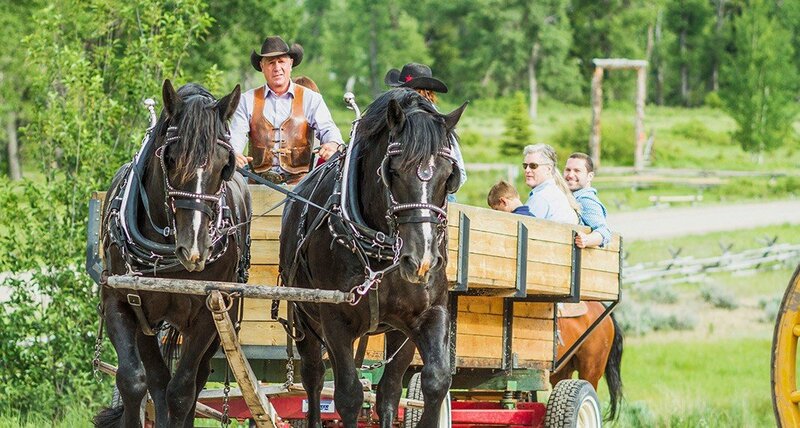 Throughout the year, The Ranch also offers wagon rides. These larger berths are perfect for special events and experiences, like our Friday Summer Breakfast Ride. The beautifully restored stage coach is also regularly used for seasonal celebrations and private events. When the snow falls, runners take the place of wood wheels on our old-fashioned horse-drawn sleigh. Enjoy festive sleigh rides, complete with wool blankets and hot cocoa. Join our Cowboy Breakfast during a summer stay.